It’s time to get started in planning for a Myrtle Beach golf course vacation. These tips could help you get the best deal on your Myrtle Beach golf vacation. Naturally it’s important to consider when your group members can actually take vacation. Be sure to consider when the best prices are available A week plus or minus can make a big difference in what your group pays for that Myrtle Beach golf course vacation. Prices on golf and luxury accommodations change dramatically several times throughout the year depending on demand. 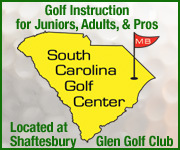 Choosing the right time for your group to come play golf in Myrtle Beach will save you big money in the end. Lower rate periods in Myrtle Beach are late February through early March and late May through early June. When rooms and golf are combined in one package it makes things easier to organize. It also saves you money on both accommodations and tee times. On The Green Magazine’s accommodations and package advertisers offer a wide selection of golf packages that accommodate any size group or budget. Their golf specialists will help you put together a customized stay and play package that will make your group’s golf vacation to South Carolina a breeze. No kidding! You can look at the ads and web pages and start calling, but it may be quicker to get your golf vacation needs in front of several Myrtle Beach golf package companies and Myrtle Beach golf courses at once. The On The Green Web Site offers the “Custom Quote” link on every page. Fill out a short questionnaire, submit it, and your information goes out to all of the golf courses and accommodations on this site. Since this gives them your dates, price range, and other preferences up front they can quickly respond to you with their best offers. Zero in on the best ones and work out the details. Be realistic because this will help you narrow down the options when you’re looking at golf deals in Myrtle Beach. If you know for a fact that you have a limited time to spend on golf courses, make sure to look at those that are geared towards the number of rounds your group expects to play. 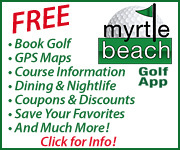 There are a number of great golf specials on Myrtle Beach tee times that offer free rounds and free replays when you play certain courses, which helps keep the cost down. When booking tee times, talk to golf directors who have actually played the courses you are interested in. An experienced golf director will be able to advise you on which courses would be most enjoyable for infrequent players, high handicappers, or semi-pros. A knowledgeable golf director can steer you to courses that have stunning views or courses that are near enough to each other that you can get in an easy afternoon round. As soon as your group decides on the best golf packages to go with for the trip, book them! This ensures that you’ll get the tee times you want, the best room choices and amenities, and the greatest deals before they expire. So how early do we recommend? Four to six months out is typically a good amount of time. 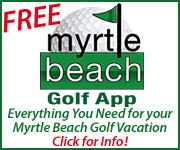 Once you’re in the Myrtle Beach area you may realize that you have extra time and can fit in an extra round of golf. This would be a great time to call or visit the On The Green Tee Times reservation center inside Golf Dimensions in North Myrtle Beach. They have great rates at all the area courses and can advise you on the best deals out there. 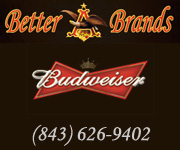 Call TOLL FREE at 877-688-8337 or locally at 843-361-4653.